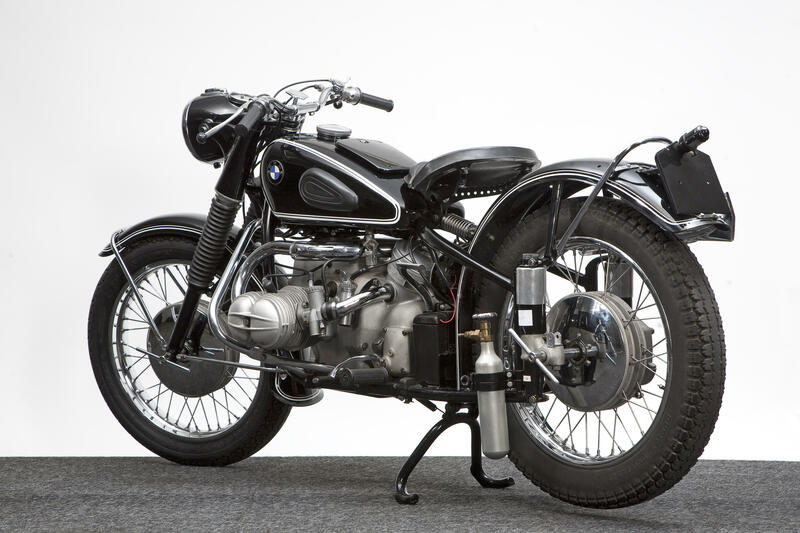 Beautiful photo of a peice of pure genius German Engineering which is a shame given the current cult of the retro reflective design in the Automotive Industry that BMW could not find the time to make this as a production recreation bike. 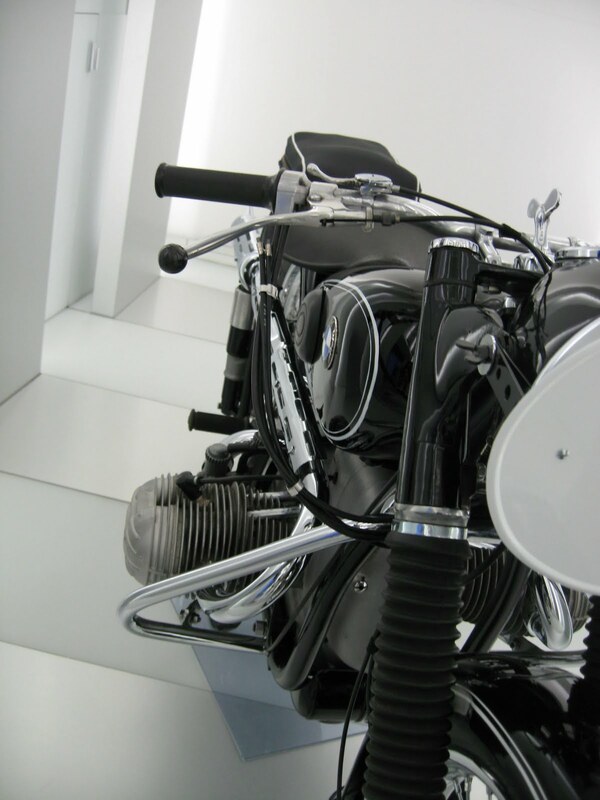 Photo of Georg Meier’s BMW! 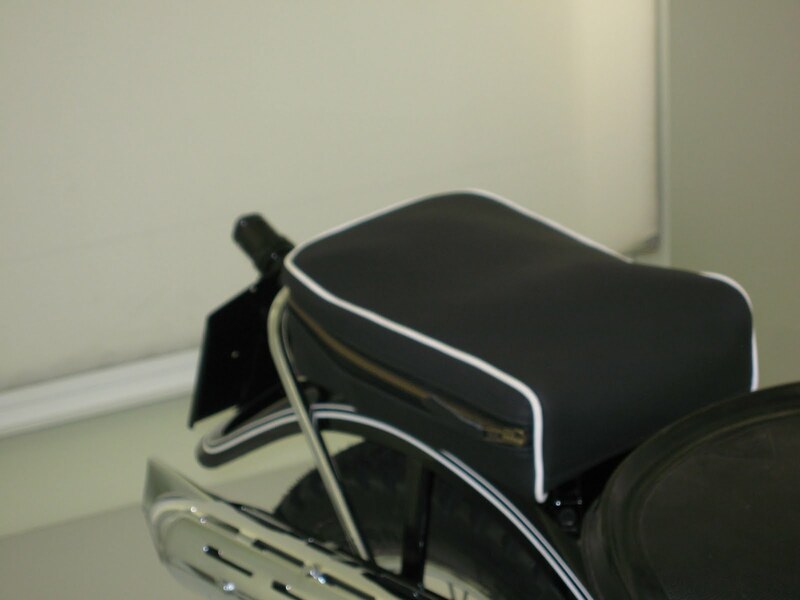 A recent search of the internet uncovered this classic of a bike. 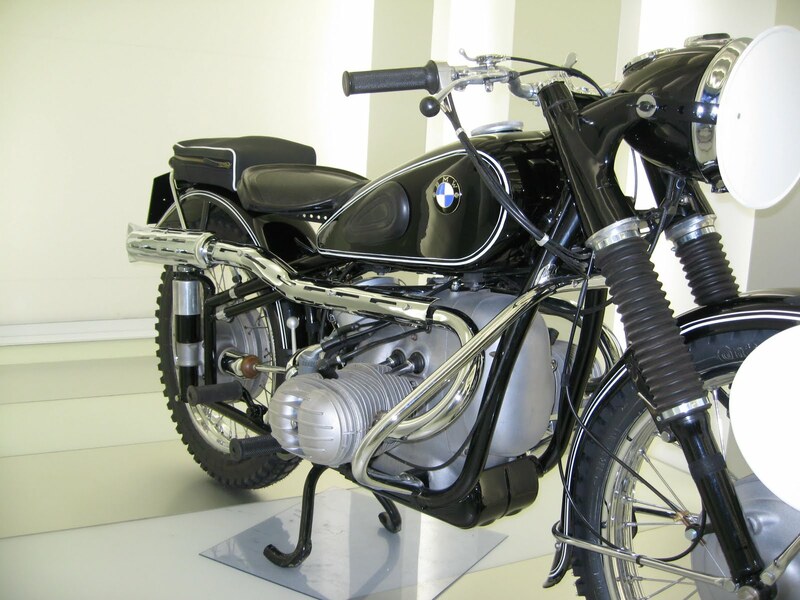 The BMW was a popular and succesful bike in the large capacity classes that had been present in the ISDT since its beginning. 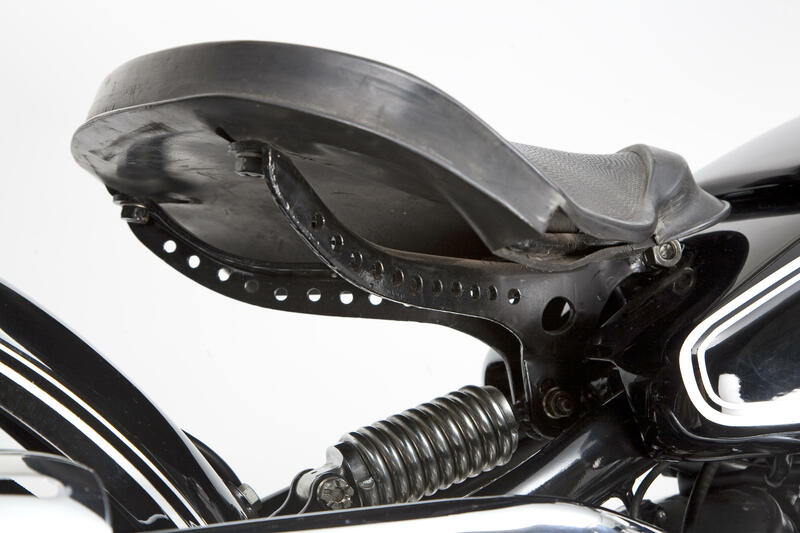 Heavy iron lumps that later on simply became un manageble as the courses became harder as they were designed to create a challenge to the fast light and precision handling of the small and medium capacity 2 strokes. 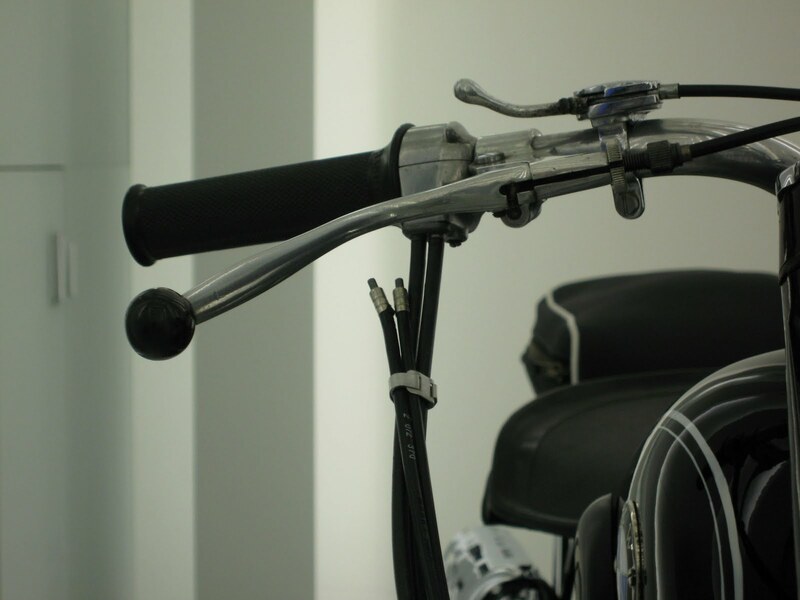 This motorcycle was part of the important collection of Willy Neutkens that took place in 2009. 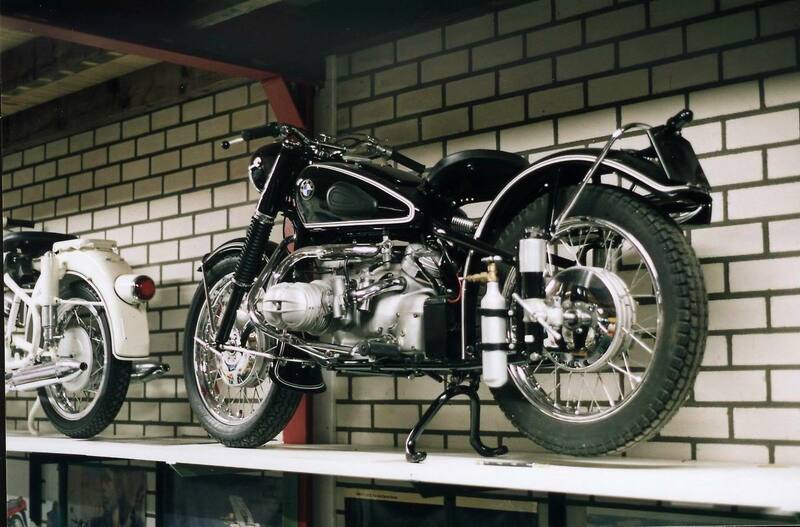 Willy was born in 1925 and had a BMW dealership in the Netherlands. 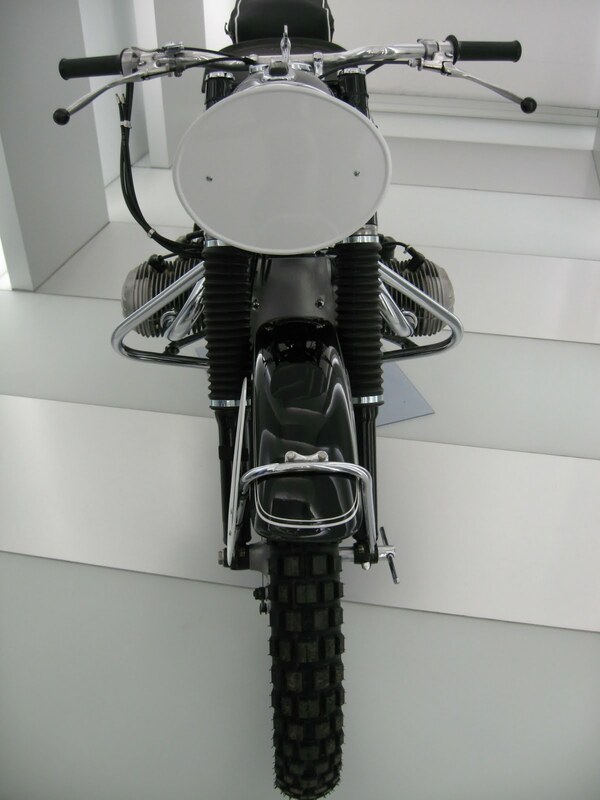 In 1980 he rode in the Paris Dakar on a Yamaha XT500. 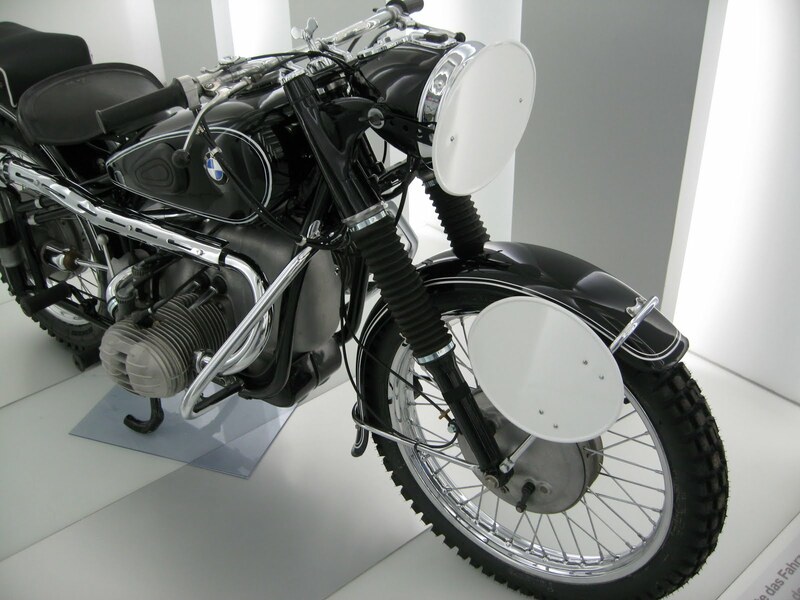 When he died in 2008 his considerable collection of BMW motorcycles. 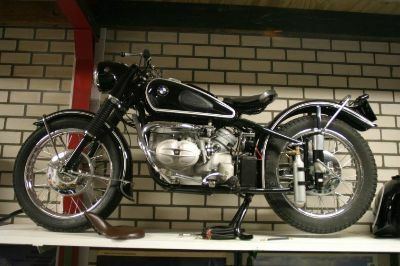 According to a Belgium BMW fan site the bike was the one used by W German Trophy Team member Georg Meier. 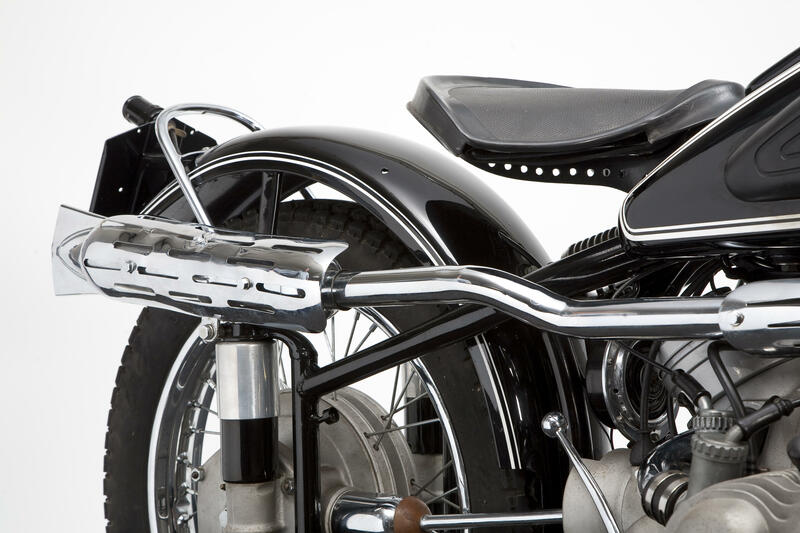 Here is the full catalogue listing of the Motorcycle from the Bonham’s Website. 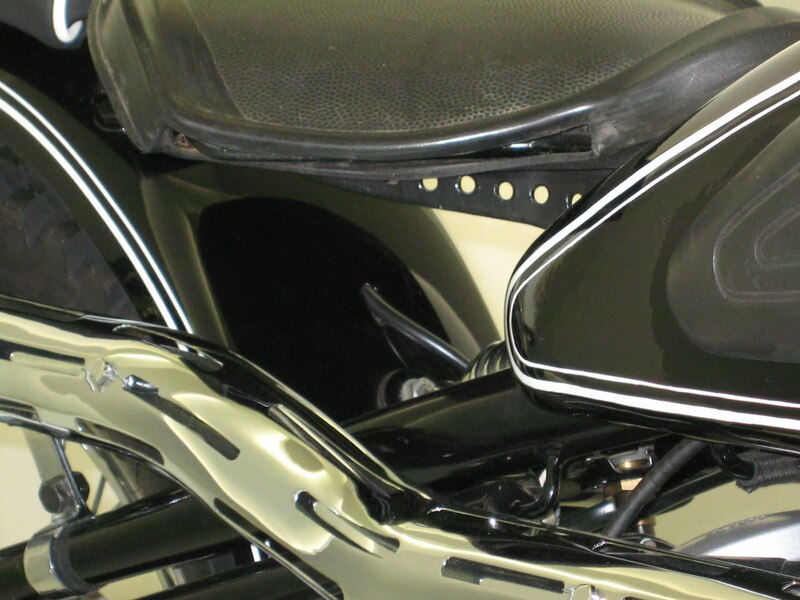 “Having concentrated on refining what were essentially pre-war designs during the early post-WW2 years, BMW was ready with a new model for 1951. 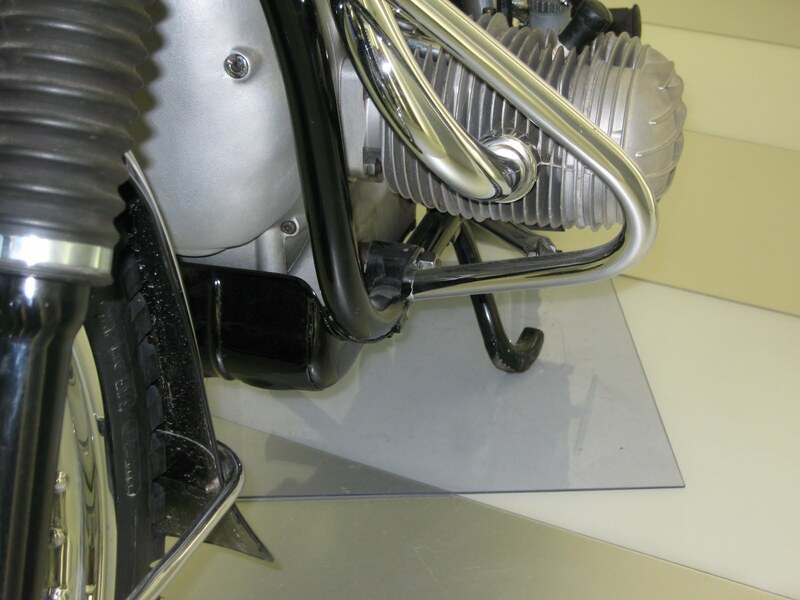 Designated R51/3, the newcomer boasted a totally redesigned, single-cam engine that went into the existing cycle parts. 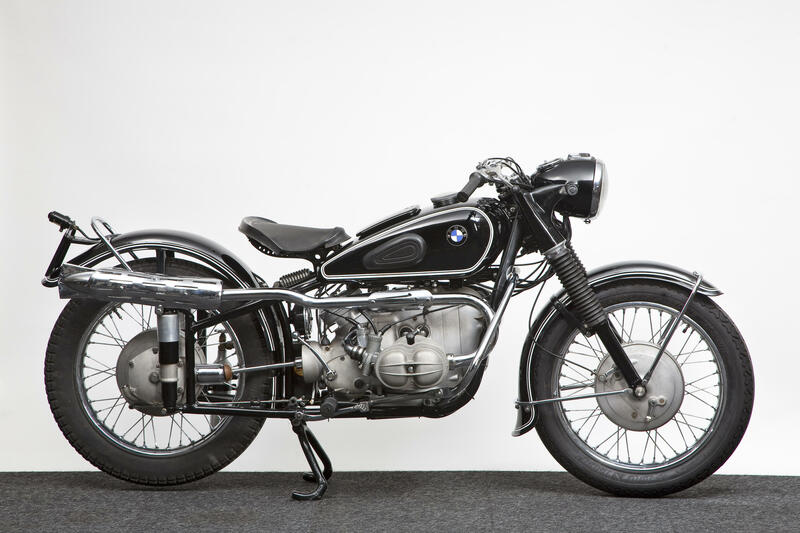 Also new for ’51 was BMW’s first 600cc model of the post-war era, the R67. 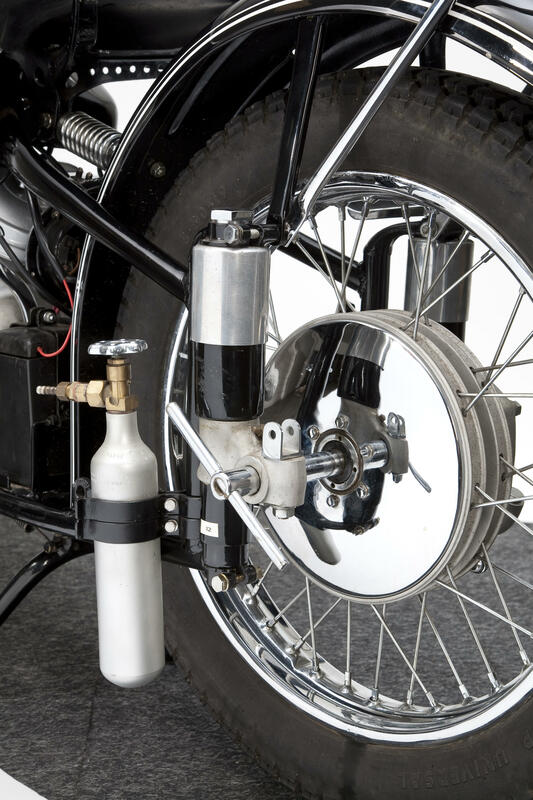 Of relatively modest power output, the R67 was intended for sidecar pulling duty and was a far cry from the R66 super-sports roadster of pre-war days. 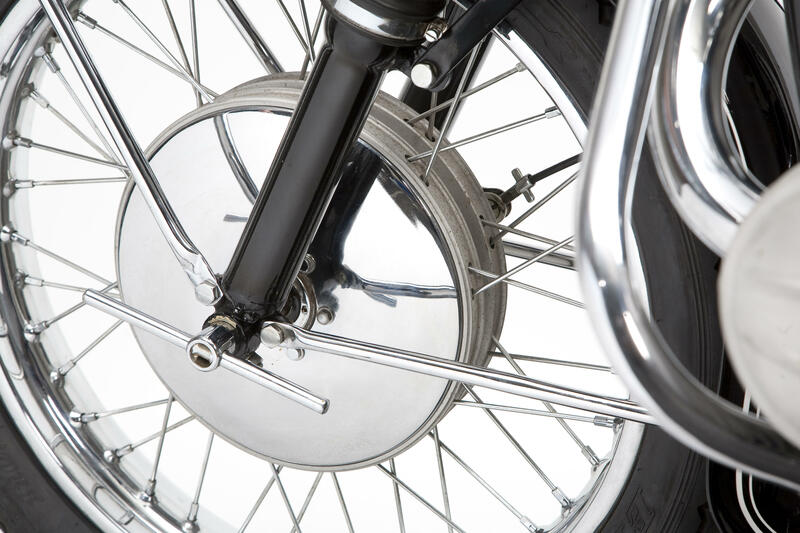 It was swiftly superseded for 1952 by the more powerful R67/2, which was updated with full-width aluminium-alloy hubs and alloy wheel rims when these were introduced across the range for 1953. 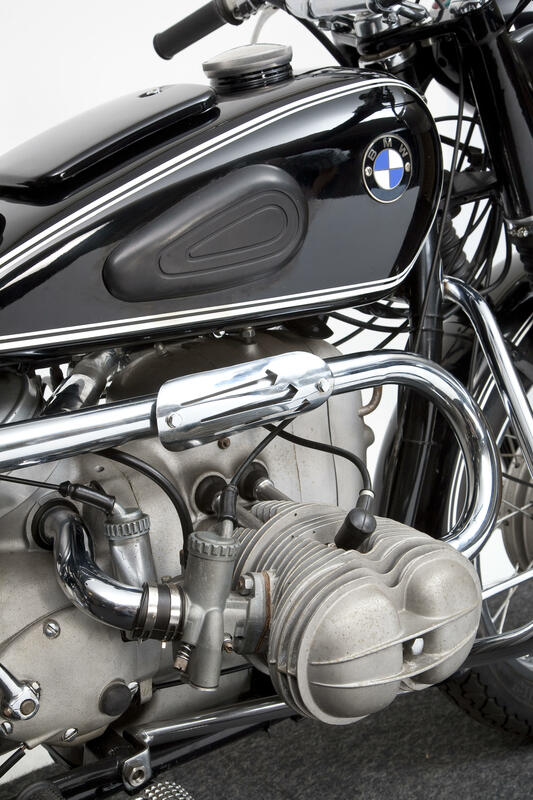 Although it was predominant in the 500cc category at home at this time, what BMW lacked was a big-bore sports model able to compete with the 650cc twins offered by British rivals in its chief export market, the USA. 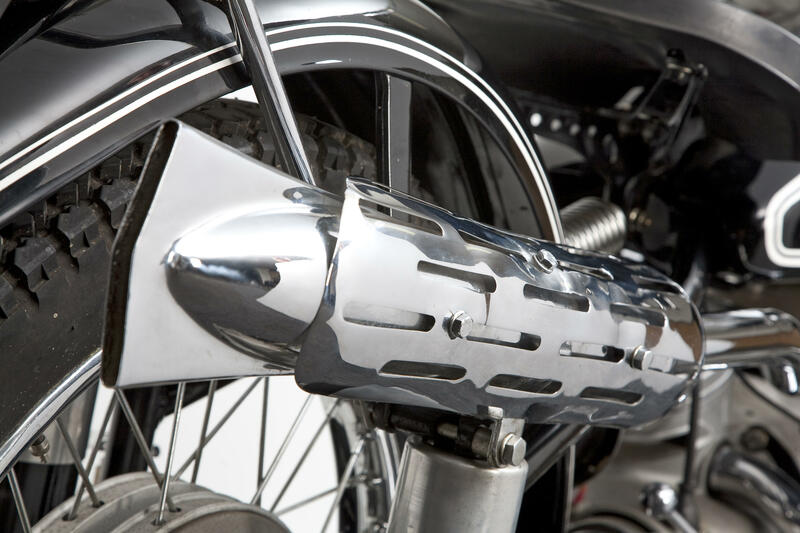 Styled like the factory’s ISDT machines, the long awaited new sportster debuted at the Frankfurt Motor Cycle Show in October 1951. 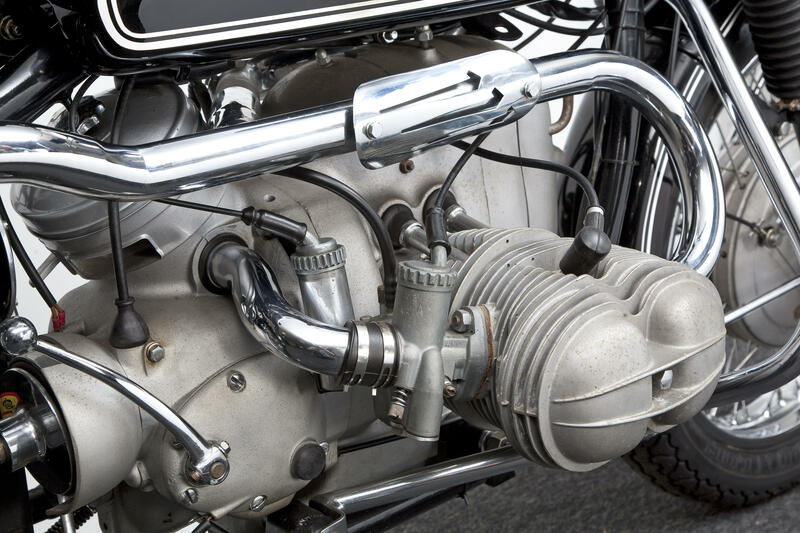 This was the 594cc R68, readily distinguishable by its restyled valve covers that hinted at the engine’s enhanced specification. 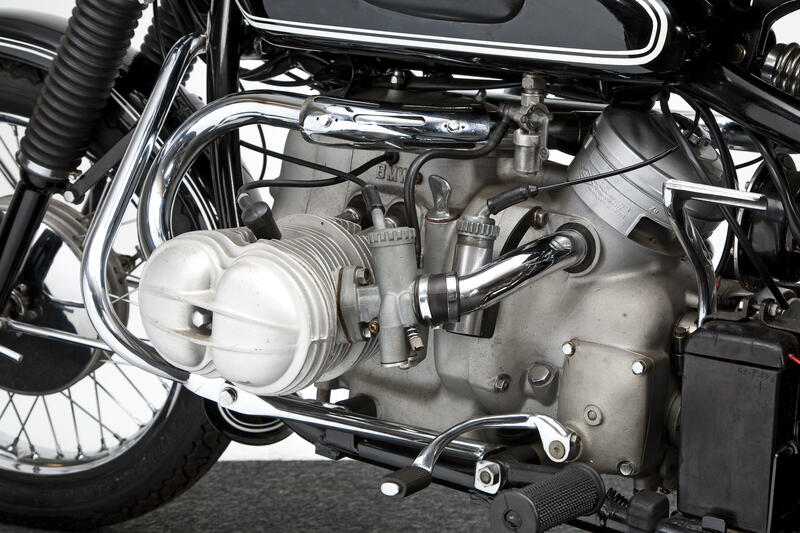 The latter included bigger valves, needle-roller rocker bearings, high-performance camshaft and larger carburettors, all of which contributed to a maximum power output of 35bhp, which was good enough for a top speed in excess of 100mph.The show models’ high-level exhausts were not carried over to the production R68, which featured low-level pipes equipped with ‘fishtails’, while for 1953 there were numerous revisions including full-width hubs, alloy wheels rims and cigar-shaped silencers. 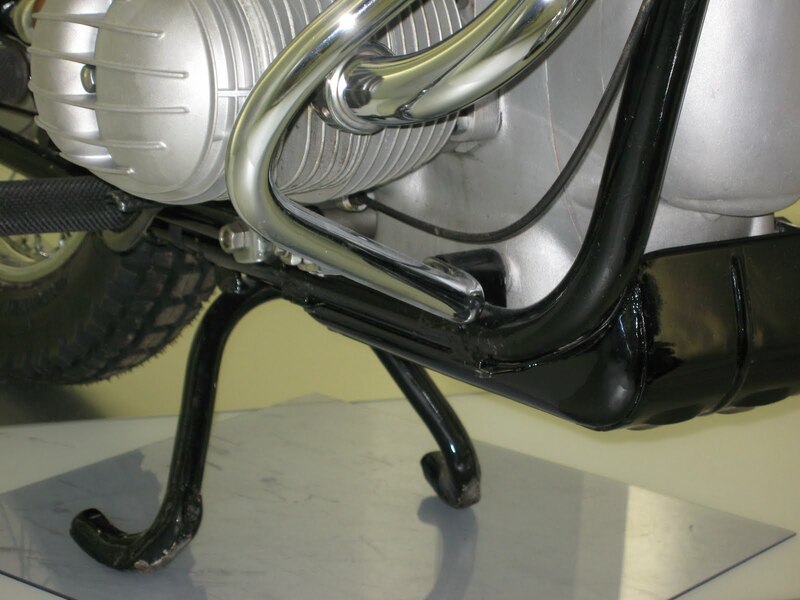 Replaced by the Earles-fork, swinging-arm framed R50/R69 in January 1955, these final telescopic-fork, plunger-framed models represent the end of an era for BMW motorcycles, of which the high-performance R68 is the ultimate expression. 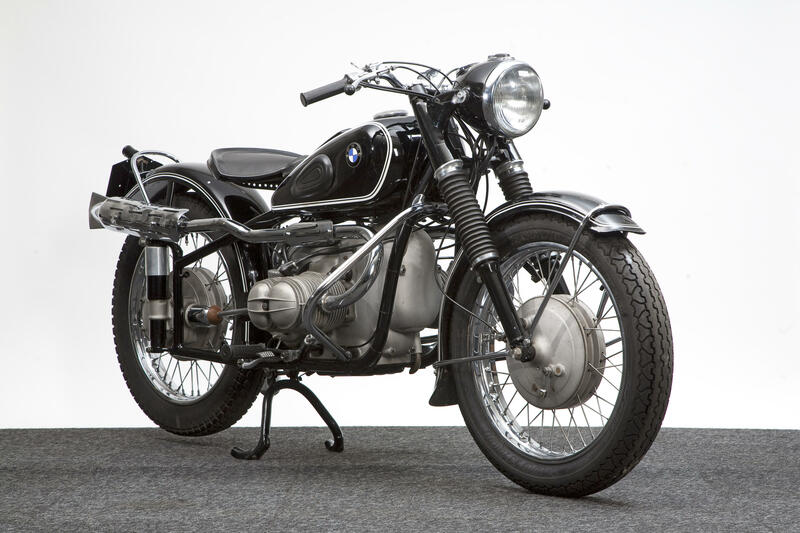 BMW factory records show that this motorcycle was completed on 28th May 1953 as an R67/2 model and sent to the Test Department to be prepared for that year’s International Six Days Trial (ISDT) held in Czechoslovakia. 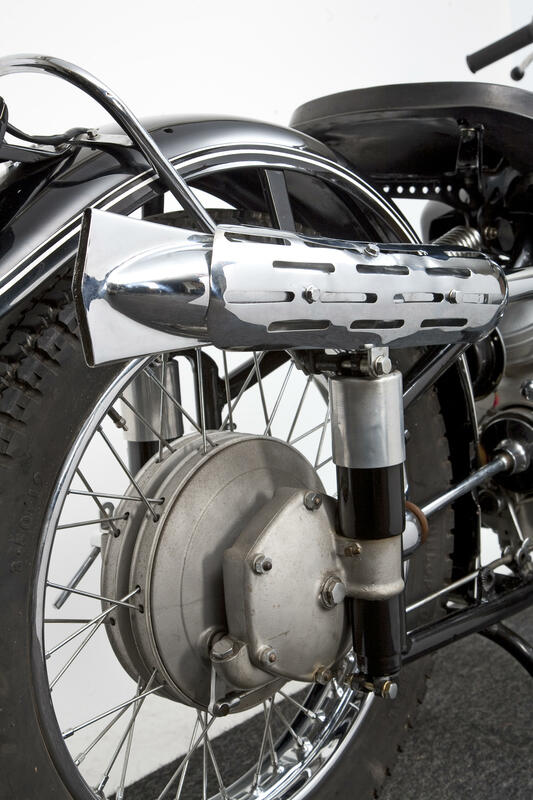 West Germany’s five-man Trophy Team was made up of two Maico riders (U Pohl and K L Westphal) and three entered on 594cc BMWs (G Meier, H Roth and W Zeller). 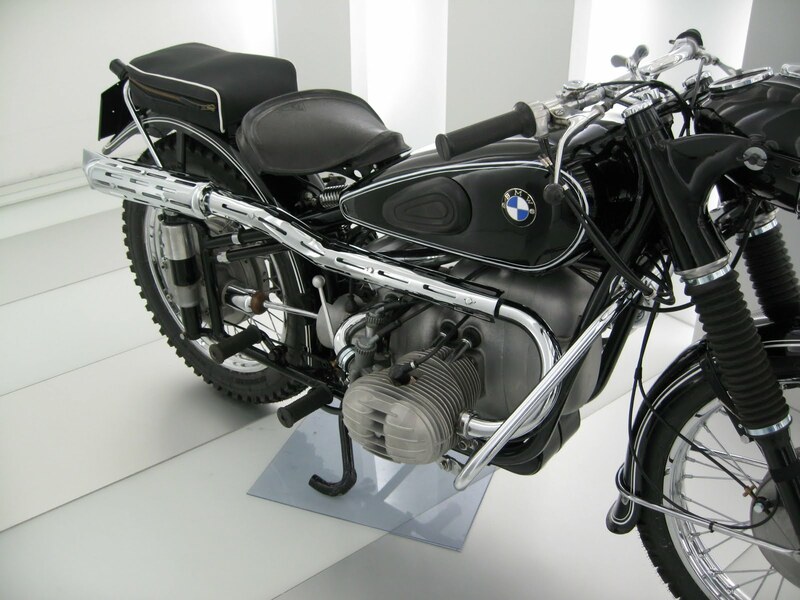 Of the BMW riders, Hans Roth and Georg Meier (winner of the 1939 Isle of Man Senior TT for BMW) won FIM Gold Medals while the unfortunate Walter Zeller suffered a broken transmission bevel box – a previously unheard of failure – and was forced to retire. West Germany’s Trophy Team finished the competition in 3rd place behind victorious Great Britain and runners-up Czechoslovakia.